I hope you've all had a lovely Easter break and are ready for the term ahead of us. We have lots of exciting learning and events coming up this term. Our value this term is 'Creativity' which we will be focusing on in Worship and linking it where appropriate to other areas of our learning. 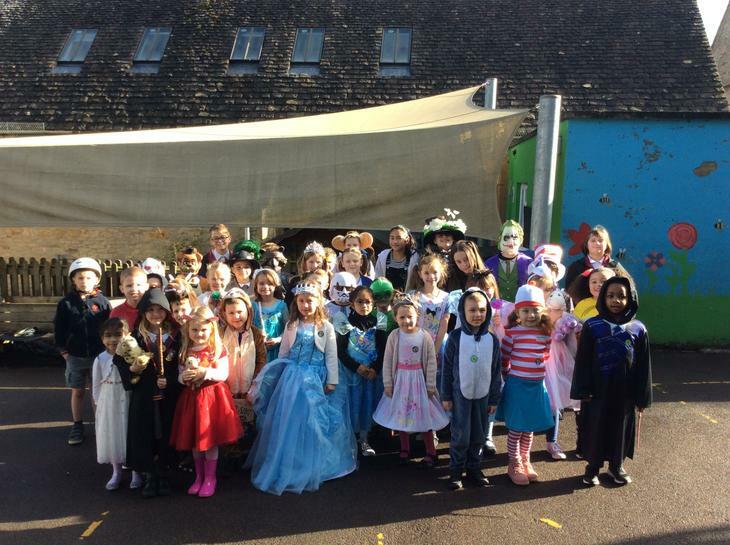 Keep checking our Class Page and Twitter feed for regular updates on our adventures. Please feel free to pop in if you have any questions or concerns. In creative curriculum, we made goodies for the Christmas Fabre in Morton that our lovely FOSS run. mrs Pullee printed out the labels and donated all the equipment so that we could make yummy treats. We hope you’ve been good enough to get one of our treats in your Christmas stocking! 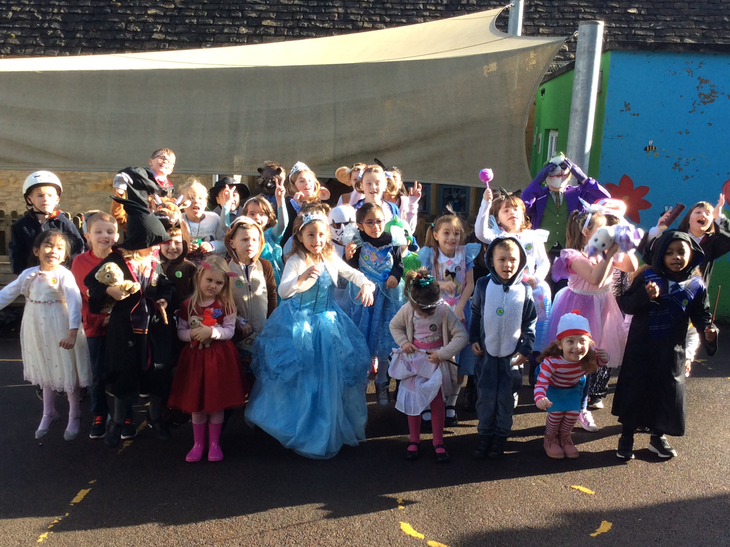 We supported Children in Need by bring in our very own teddies dressed in spots. The children collected £49 to donate to this very worthy cause. 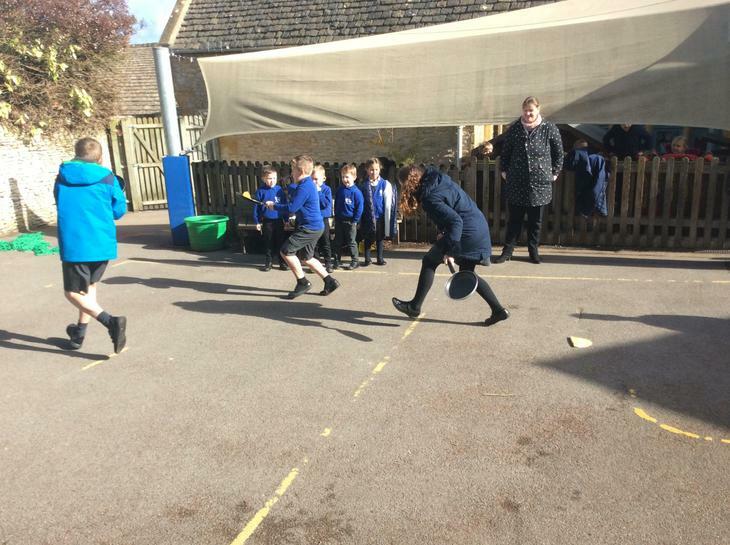 On a very sunny October morning, we welcomed the Cotswold Wardens to our school field. We completed an orienteering challenge and learnt how to use compasses to navigate our way around the field. We enjoyed it so much that we are going to set this up as an activity in the school playground in the summer. During our maths challenge day, we used lots of practical equipment to prove our theories and solve problems. We even managed to crack Mrs Pullee's gold level problem. 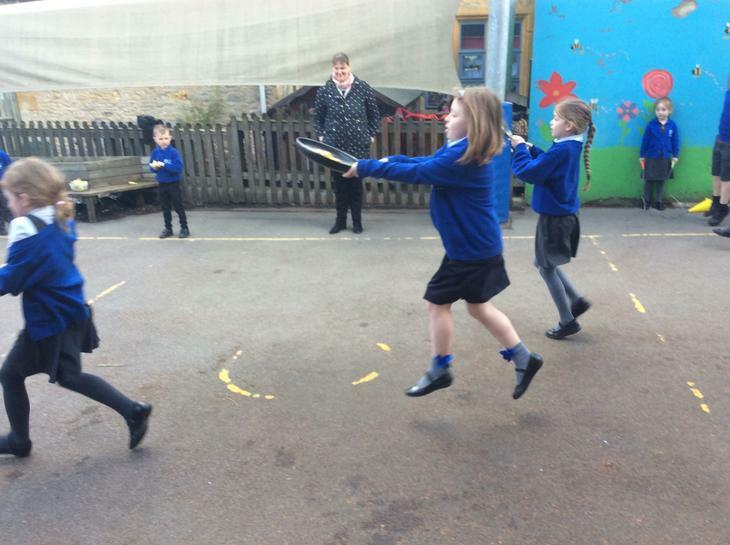 She was amazed at how we worked as a team to be the best maths detectives she had ever seen! In RE, we have been learning about the significance of cathedrals in Christianity. To demonstrate our understanding, we created models of our favourite cathedral with hidden messages behind doors and under the rooftops. Some of the messages were: welcome to God's house and his family; God's voice is amazing, come in and listen and the power of God is awesome! This Friday, we visited the Cheltenham Literacy Festival. The highlight of our day was going to see Anthony Horowitz and listening to his ideas about how to be a great writer. We can't wait to use his ideas in class. 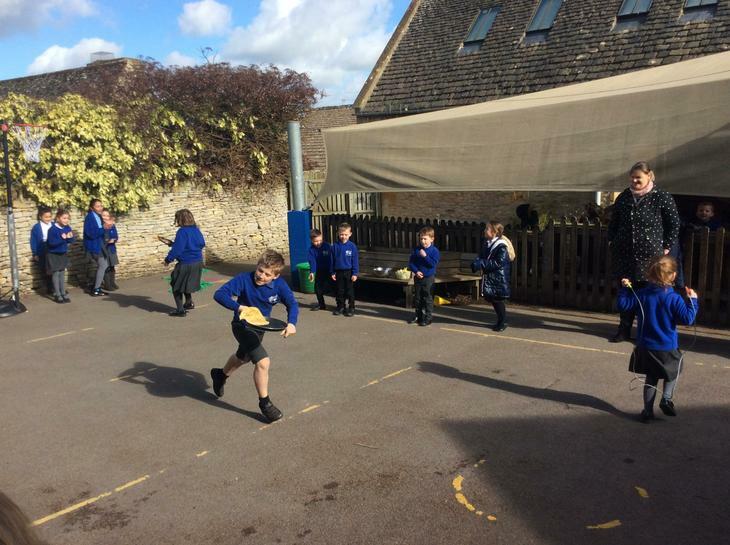 In the festival, we found an activity based around the Beano trail. We were the first school to complete the Beano trail which was brilliant - we were all given the Beano comic as a prize. After eating lunch (whilst watching a musician singing silly songs) we all chose our favourite books for Mrs Pulle to use as our class book. We start reading Wolf Brother tomorrow! After welcoming our Diocese sheep today, we then took her to join in with our Harvest Festival celebrations in church. The head boy and head girl wrote and read prayers after our class performed a fable about how to trust others and how to treat others. Rebecca the sheep was so well behaved, she was awarded a certificate in our celebration Worship! 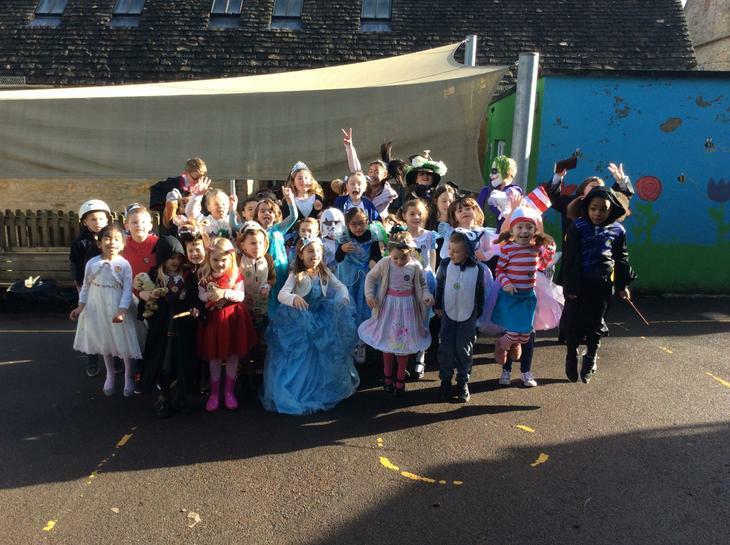 Welcome to Class 3 where they days are filled with fun learning, challenging activities and happy children! 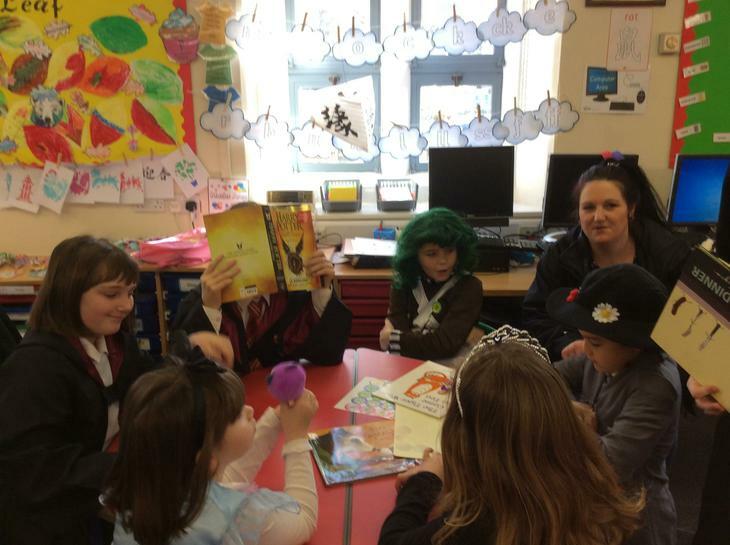 We have started our year off with a Dahlishous Roald Dahl Day filled with lots of cross-curricular tasks based on Mrs Pullee's favourite Roald Dahl book - The Twits! Please keep checking our class pages to see what we are learning in class 3! Mrs Morgan and Y2 helped us celebrate Burns Night by bringing us haggis to taste and explaining who Robert Burns was. In Maths, we have been learning about fractions, decimals and percentages. We are trying to use bar models to help us but this can be tricky! In English, we have been writing letters about our evacuation and pretending we are the evacuees! Happy 2018 and welcome back to school! We have started our school year as we mean to continue: busy! We joined the whole school in the FizzPop demonstration; Caitlin and Chris were lucky enough to be chosen as volunteers. We have been working very hard on fractions in Maths; Mrs Gaden has been very impressed with our perseverance when we have found this tricky. Our sports leaders have been very busy this past week and led our PE session working with and designing activities for Class 1. We were very fortunate that Tobi brought his families’ WW2 artefacts for us to see and explore! I would love to welcome everyone in Class 3 to a brand new class and a brand new school year. There are lots of exciting events planned to challenge and engage you all in your learning. Keep looking at our page to see what we have been doing. Remember, if you have any ideas for this page, why not let Mrs. Pullée know? Children in Year 6 were master bakers for Red Nose Day; baking 100 cupcakes for charity. They were supervised by our very own baking queen, Mrs Morgan, who worked hard to find donations for the ingredients. 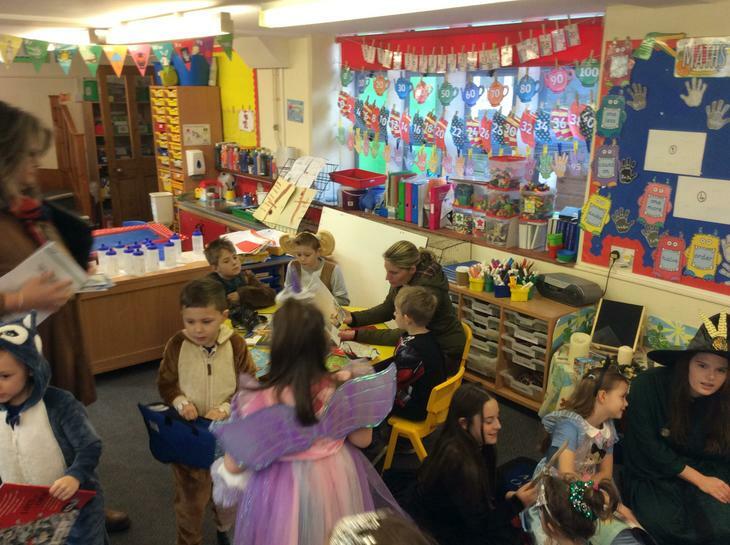 As always, our super parents supported the children by purchasing the delicious cakes and helping to raise £100! Children across our Federation all took part in a marvellous maths morning! Class 2 and 3 began the day with a treasure hunt, hunting for maths puzzles. When they had collected a variety of puzzles, the children started to work in groups to solve the problems. They used a huge range of skills and equipment in order to solve these and then even devised their own puzzles for each other to work out. The amount of reasoning and explaining in maths was absolutely fantastic and the children persevered in order to complete their challenges. We had great fun! Remembrance - Year 4 laying the school wreath at the memorial in Lower Swell 2016. 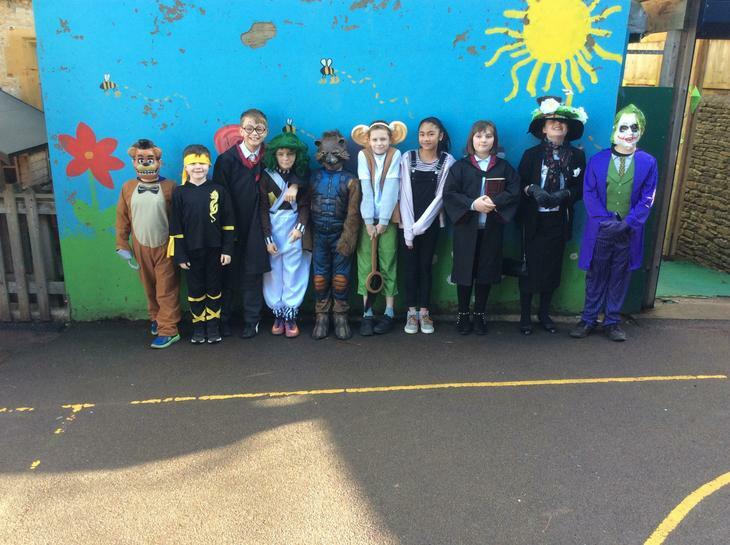 This week has been 'Dahlishious' and Class 3 have been celebrating 100 years of the fabulous Roald Dahl and his wonderful stories and characters. We have read books, described characters, written in the style of Mr. Dahl himself and recited revolting rhymes. On the actual day, we designed and constructed perfect parachutes in order to transport James' not so giant peach safely to the ground! Class 3 spent an exciting day at Longborough School building, programming and testing robots. 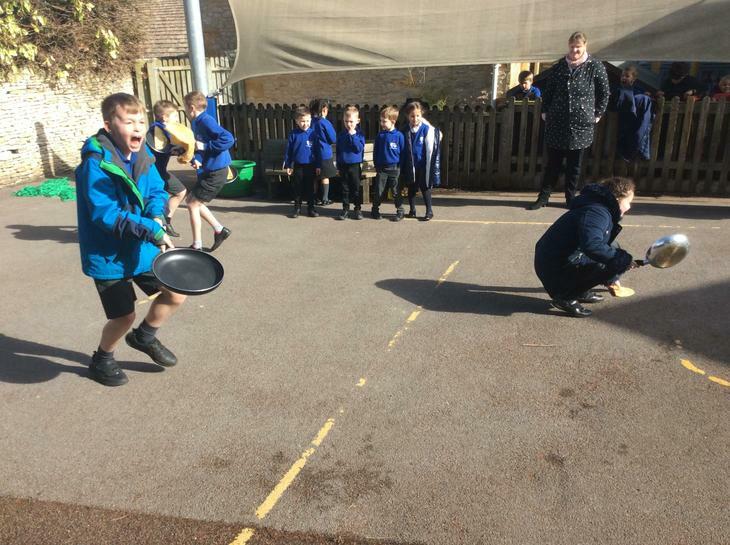 We learnt how to work in teams to complete a variety of challenges. After building the first robot the children reflected on the first set of challenges that they encountered and how to improve. Here are some of the responses from the children: "I learnt that teamwork is better than being on your own because you can all help and do different things." "We put the wheels the wrong way around because we missed a step so we had to go back and check." "Listening carefully to instructions means you know exactly what to do when it's tricky." When the robot was built, the children then had to program them to complete a series of challenges. Each different change meant the children had to redesign and reprogram their robots. The challenges included getting six balls into a goal, pushing bricks over a line and knocking blocks off a box. The children worked incredibly hard, persevering to create amazing robots.